Lintbells Silvercare Skin Balm uses the natural anti-bacterial properties of Silver to destroy bacteria and certain fungi, by disabling the enzymes that are needed for their survival – stopping them from multiplying and growing. Lintbells Silvercare Skin Balm is made with Babassu palm oil which is absorbed into the skin, beeswax and calendula which both provide external protection. 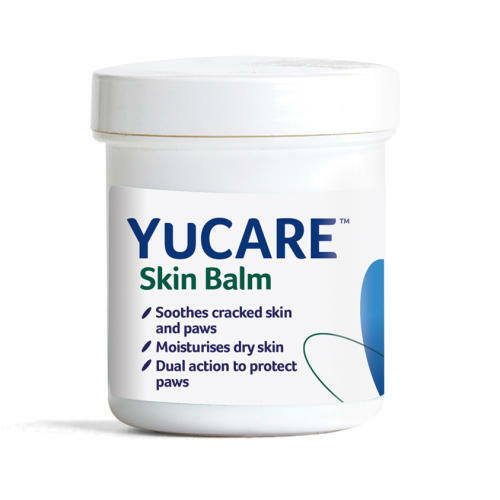 This skin balm soothes and moisturises dry and cracked skin, forming a protective layer which safeguards exposed skin such as paws and noses from the effects of the environment. There are no chemical additives, mineral oils or fats such as glycerol or paraffin in this product.